I was so excited when we were chosen to host a #Disneykids Preschool Playdate this year! 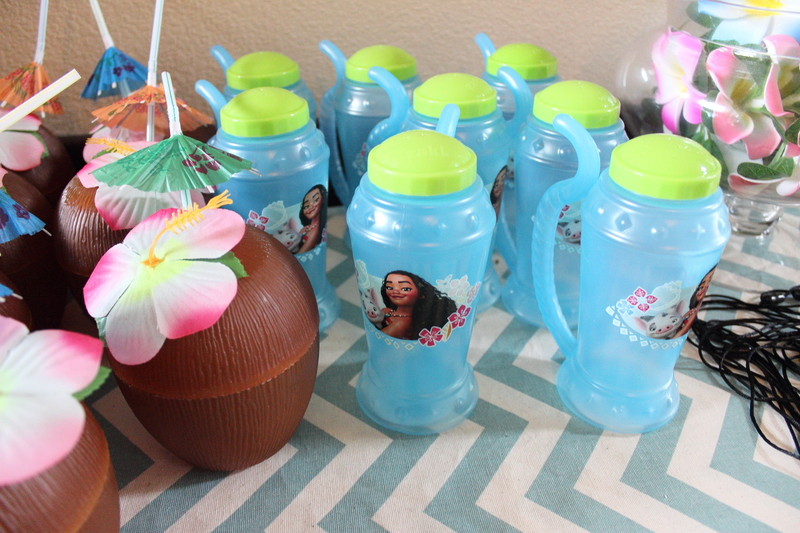 We received a bag full of goodies from Disney Parks and I couldn’t wait to bring the joy of Disney Parks to our own home by hosting an epic Moana Party for my twincesses 6th birthday! 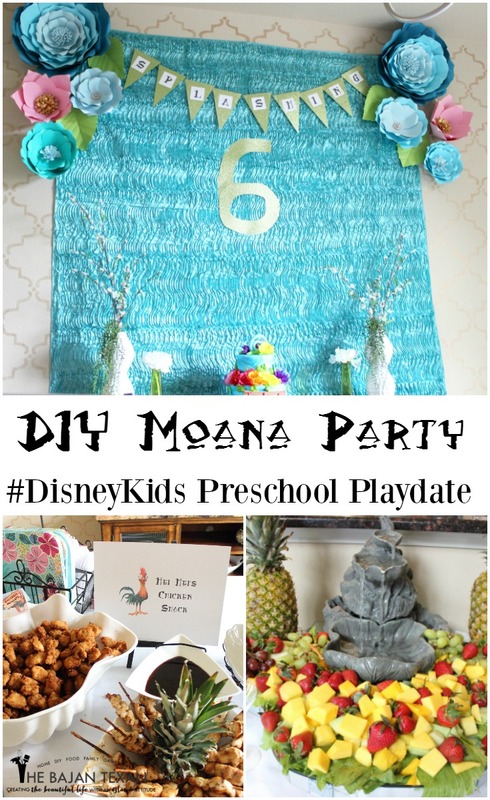 I thought I would share with you how to plan the perfect Moana party or playdate for your preschoolers. There are so many amazing Disney characters and themes that this is the hardest part! Luckily Disney has a website filled with tons of tips and tricks on hosting a Disney Themed Playdate. But when it comes to narrowing down a theme the easiest thing to do is to go with what your kids are into at the moment! We have done a Mickey Mouse Party, A Frozen Party and a Doc McStuffins party before. But this year the girls are totally into Moana! Once you know the theme, watch the movie or show with your kids. Look for recurring phrases and quotes, songs your kids like to sing or things that make them laugh. 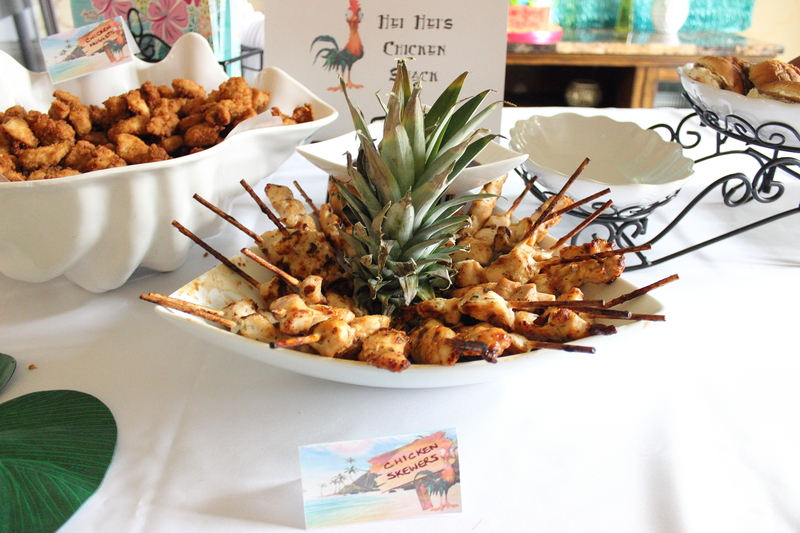 For example, when Maui picks up Hei Hei and says ‘Boat Snack’! 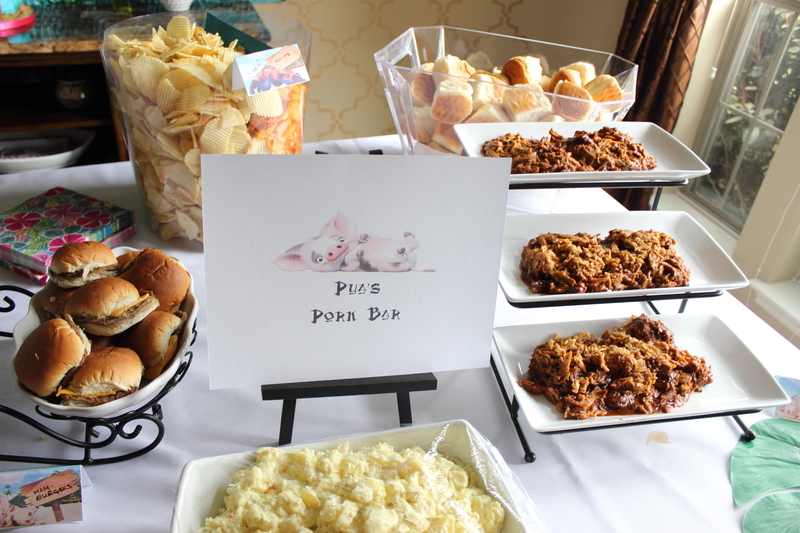 My girls laughed hysterically, I knew I would use Boat Snack in my signage on my food table. The invitation sets the stage for what is to be expected at the party. I love using quotes from the movie here as well. 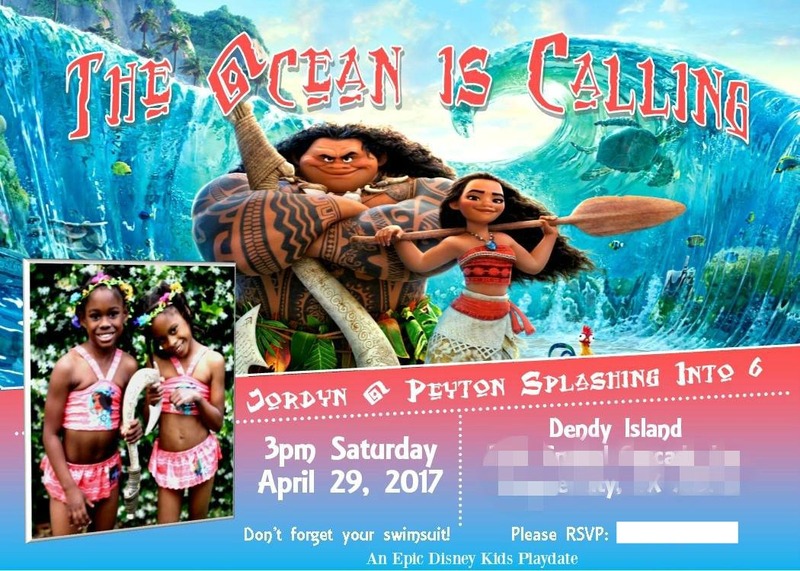 So for this Moana invitation, we were sure to say ‘The Ocean is Calling’ for our Island themed party. We were also able to add instructions so everyone knew they would need their swimsuits. 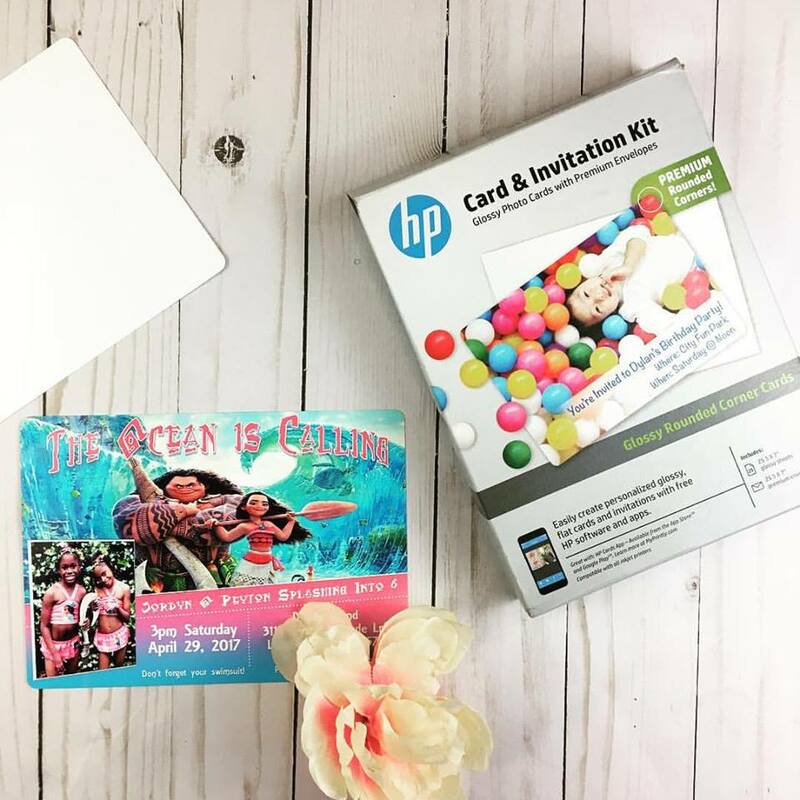 I love using a HP card and invitation kits to print professional looking invitations right from my home printer. I put decor and food together because for me food presentation is decor! 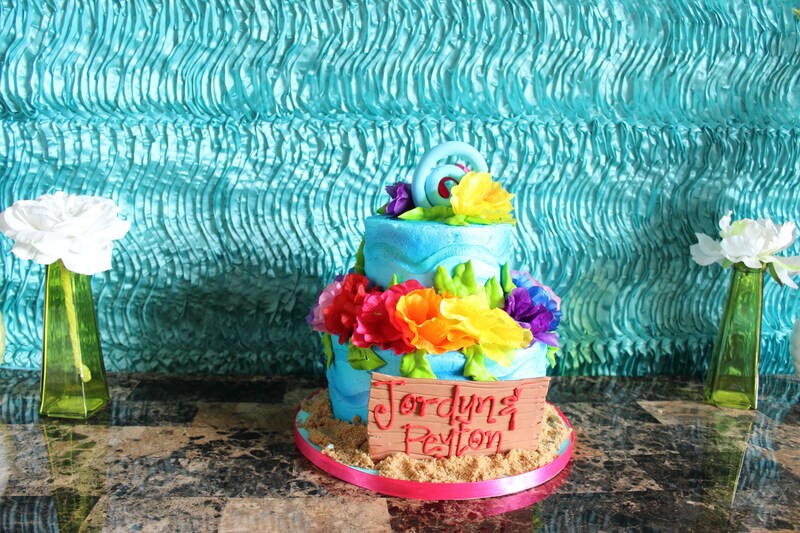 Why pay for a beautiful custom cake if you don’t display it! When you are creative with how you display your food, it only adds to your decor. I like for their to be one main room that is the focal point of the party. For me this is my dining room. Its where I add a beautiful backdrop for the food, the cake and even add second backdrop for a photobooth. To set up the backdrop I simply use thumb tucks to adhere fabric to the wall. The fabric can be anything that goes with your color scheme. In this case i used a table cloth, and I have used curtains in the past. 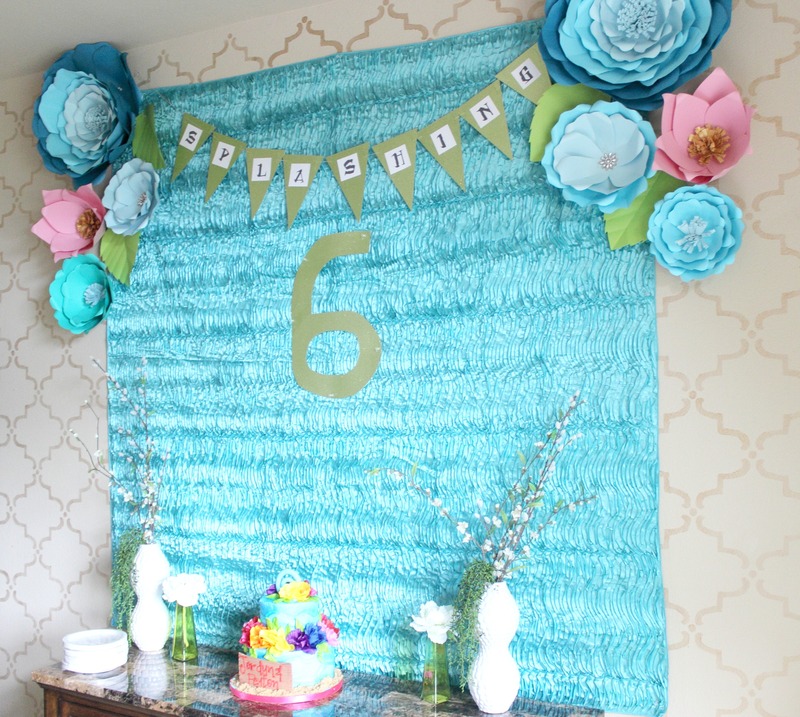 To accent your fabric simply add paper flowers or paper fans to the sides. Here is a tutorial on how to make paper flowers and one for how to make paper fans. 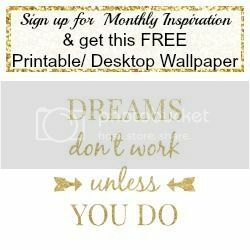 You can then use cardstock for make a banner or a number. 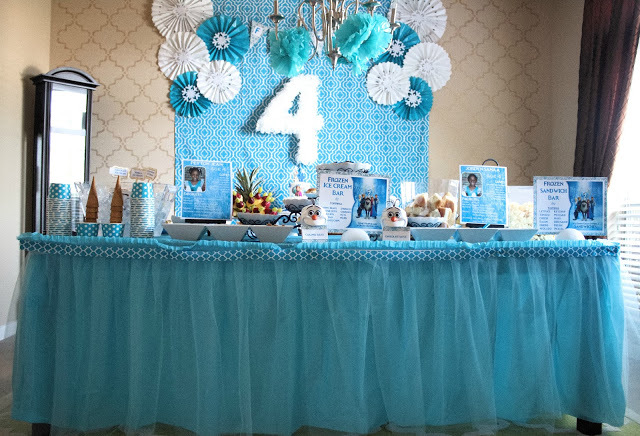 Here is another example of a past backdrop I did using paper fans on a curtain for a Frozen themed party, I used coffee filters to create the number sign for this Disney themed party. The food should always go with your theme. For example two of the characters from the movie were Hei Hei and Puao, a chicken and a pig. 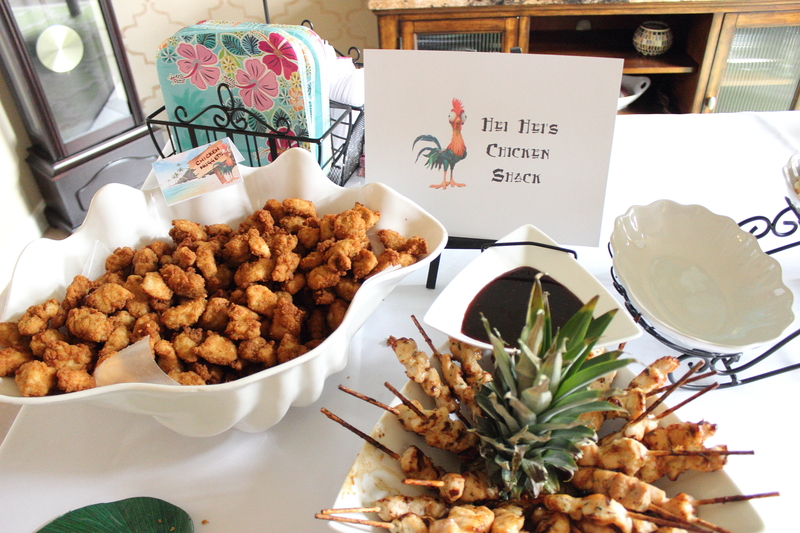 So I made signage saying Pua’s Pork Bar and Hei Hei’s Chicken Shack and provided tons of Pork and chicken options for my guests. 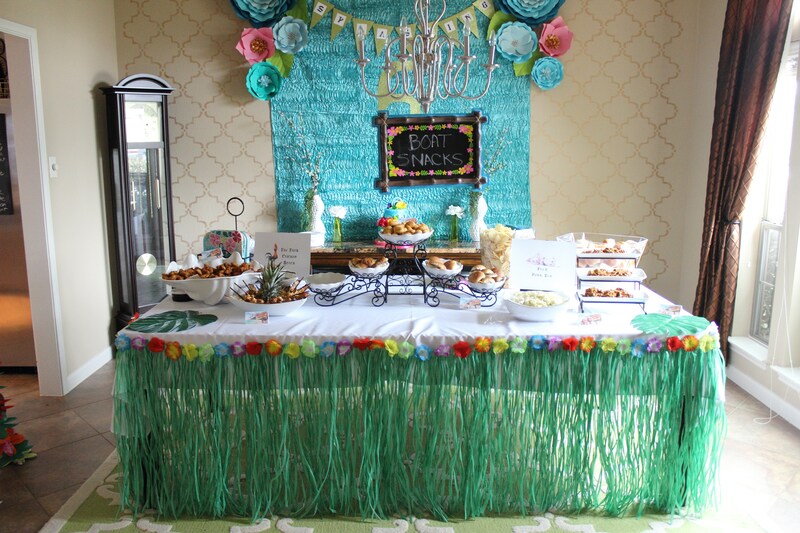 In the past for a Mickey Mouse Clubhouse party I provided a Hot Diggety Dog Bar and for a Frozen Party, why an icecream Bar of course. Always think of creative ways to make your food themed. I also love using food tents to make sure the guests know what the food options are. I got these food tents and other Moana Printables from Busy Mom Printables on Etsy. And lastly, think of unexpected and unique ways to display your food. 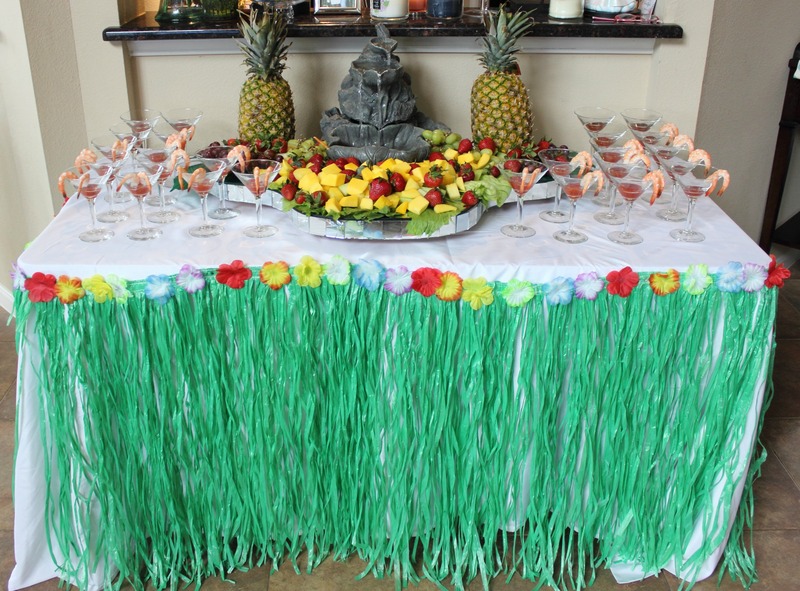 Moana is set on a beautiful Hawaiian island with gorgeous vibrant fruit and beautiful waterfalls. 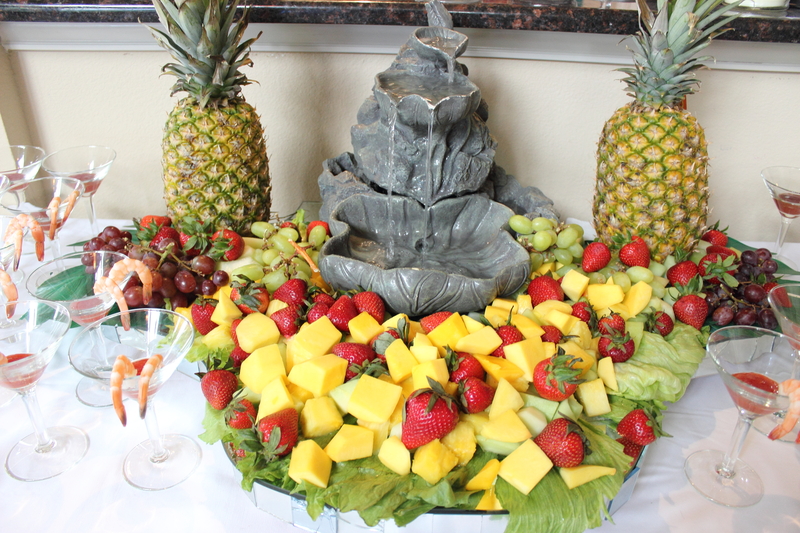 So I decided to make my own waterfall to present the fruit. (thank you Uncle Herman for lending me your waterfall!). I also added shrimp another island inspired food, but not just on a plate but in martini glasses with some cocktail sauce at the bottom for dipping. It was the perfect presentation. The most important part of the party is making sure the kids had fun! Disney Parks sent us lots of great game ideas and we were able to use those as favors. 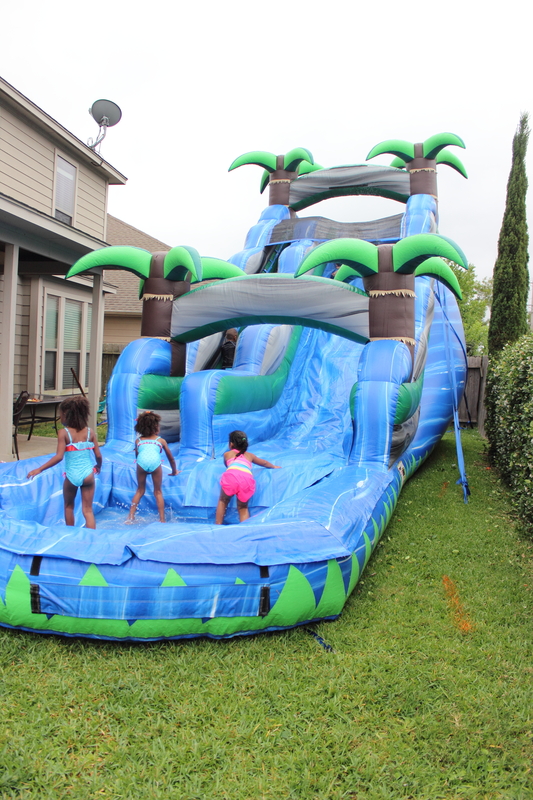 But for this Moana themed party we rented a huge waterslide for the kids! So they could experience the Ocean of course! We wanted it to have the feel of a Disney Park and what better way than the waterpark experience. One of our bucket list Disney experiences is to visit Disney Aulana in Hawaii so we tried to bring a piece of that here for the kids. We also played the Moana soundtrack outside to the kids had an absolute blast as they sang along to their favorite Moana songs as they slid and splashed. 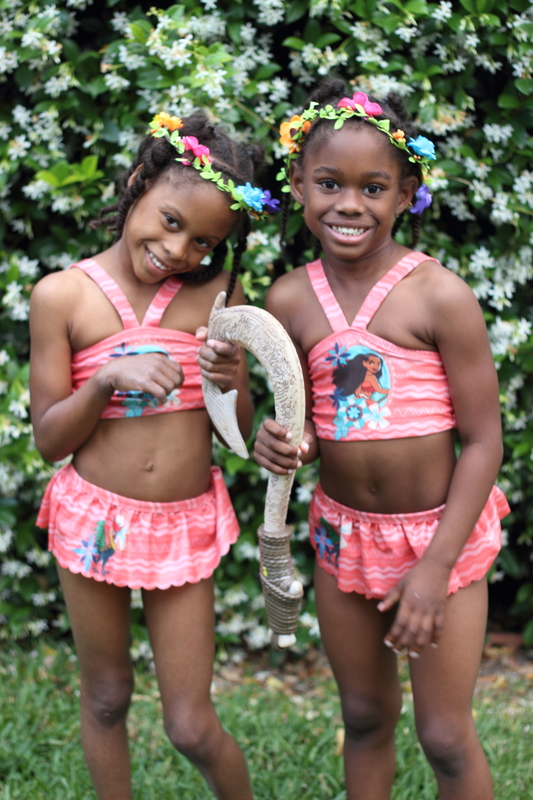 Just like at Disney Parks we wanted to give the kids a mini Moana makeover. So each child got a lei, a flower for their hair and a shark tooth necklace. 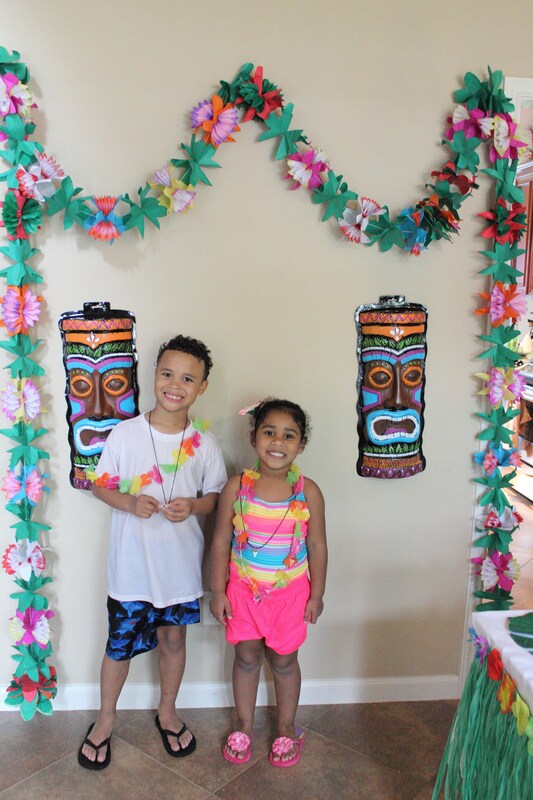 Then they got to pose at the photo booth and take home their picture thanks to my HP Sprocket! The kids were also able to take home Moana cups or Coconut cups that looked like the Kakamora from the movie. Both of which I got at Dollar tree. The thank you tags of course said ‘You’re Welcome’ Maui’s favorite phrase from the movie. 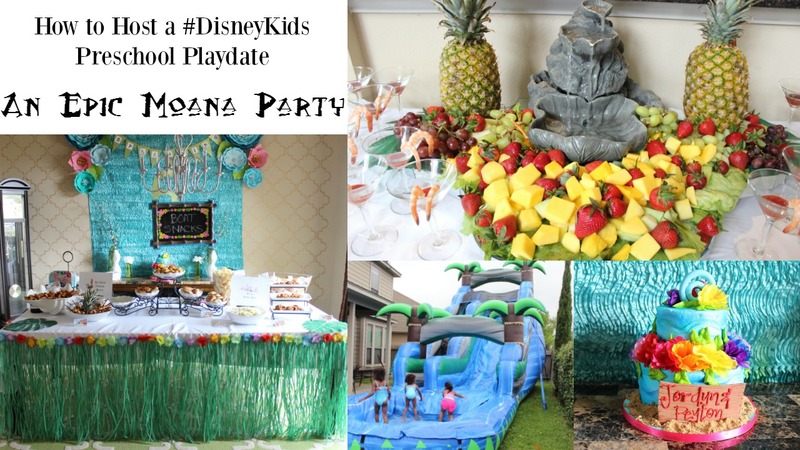 And that’s how we planned an epic #Disneykids Preschool Playdate Moana Party Style! 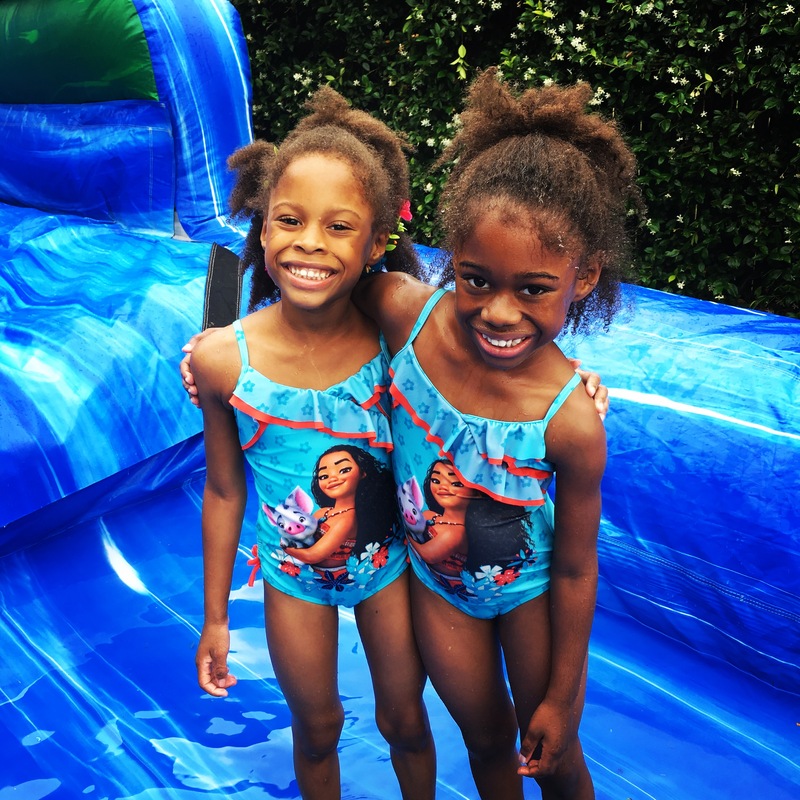 The best part was seeing the joy this Moana Party brought to the kids especially my twincesses! For more tips and tricks check out these ideas from Disney!